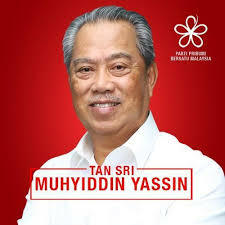 We support the Minister of Home Affairs, YB Tan Sri Muhyiddin Hj Mohd Yassin, for taking serious actions on the activities of the scandalous visa processing company, Ultra Kirana Sdn Bhd (UKSB). Yours truly had been asking the government for actions against these visa processing companies for sometimes, HERE, HERE, HERE, HERE. This visa processing business was finally blown wide upon by the article “Acaman Besar Negara” by Harian Metro on 15-11-2018. Thank you Harian Metro for highlighting this scam as reported. Kementerian Dalam Negeri (KDN) memandang serius pendedahan oleh akhbar Harian Metro mengenai dakwaan kelemahan sistem Visa Luar Negara (VLN) atas talian termasuk eNTRI dan eVISA untuk pelancong dari negara China dan India yang ingin memasuki Malaysia. Pelaksanaan sistem eNTRI yang dikendalikan oleh syarikat Ultra Kirana Sdn Bhd (UKSB) melalui satu perjanjian konsesi dengan KDN sejak tahun 2016 dikatakan gagal berperanan sebagai sistem saringan dan tapisan awal ke atas warga China yang memasuki negara ini. Sejak memulakan tugas sebagai Menteri Dalam Negeri, saya telah mengarahkan pihak pengurusan KDN untuk mengkaji semula perjanjian-perjanjian konsesi dengan vendor-vendor yang mengendalikan pelbagai sistem imigresen termasuk sistem VLN. Tujuan kajian semula ini ialah untuk memastikan kepentingan kerajaan dan keselamatan negara tidak terjejas oleh sebarang bentuk kelemahan yang berkemungkinan wujud di dalam perjanjian mahupun pelaksanaan sistem. Pihak KDN juga akan mengemukakan cadangan kepada kabinet untuk menaiktaraf sistem imigresen sedia ada sebelum membangunkan satu sistem baharu yang lebih efisien untuk memastikan perkhidmatan yang disediakan adalah lebih cekap, selamat dan menjimatkan kos. Pada masa ini, pihak Suruhanjaya Pencegahan Rasuah Malaysia (SPRM) sedang menyiasat pelbagai dakwaan penyelewengan yang melibatkan beberapa syarikat konsesi yang mendapat hak untuk mengendalikan sistem imigresen. Pihak KDN memberikan kerjasama sepenuhnya kepada SPRM dalam menjalankan siasatan. KDN tidak akan teragak-agak untuk mengambil tindakan tegas terhadap mana-mana pihak jika terdapat bukti mengenai kelemahan atau penyelewengan di dalam pelaksanaan sistem ini. The above statement concern Ultra Kirana Sdn Bhd (UKSB), which runs the biggest visa processing operations in China, India, Bangladesh, Philipine, Dubai and others. UKSB’s daily collection is in the region of RM500,000 to RM700,000. Left: Tan Sri Mohamed Al Amin. Right: Dato Siew Ka Wei. These are the two powerful corporate figures. Both are business partners and in ANcom Bhd. The KDN should also be investigating into another visa processing company, S5 Systems Sdn Bhd. Tan Sri Al Amin is the main player behind this company. Up to May 9th, 2018 (14th GE), Tan Sri Al Amin, who is a close buddy and business partner of Dato’ Siew Ka Wei, was politically well connected up to PMO. Many of Tan Sri Al Amin and Dato’ Siew Ka Wei’s outfits have been awarded with exclusive long terms contracts. Their outfits are Meru Utama Sdn Bhd (exclusive contract for advertising space in KLIA and others for 7 years plus 3 years), Titanium Compass Sdn Bhd (exclusive contract for advertising space in MRT and stations for 10 years), Ancom Kimia Sdn Bhd (methanol exclusive contract with Petronas Chemical) and others. Dato’ Siew Ka Wei and Tan Sri Serigar, the former Ketua Pengarah MOF were known to have actively campaigned for BN candidate against our PM YAB Tun Dr Mahathir in Langkawi Constituency during the GE14th. When Dato’ Siew Ka Wei was the Chairman of Tourism Malaysia (TM), TM was involved in the scandalous RM 99.693 millions Speedy Gonzales Geeko contract. Geeko Tech Sdn Bhd‘s CEO is Ms Elizabeth Ken, who is a media specialist of Redberry Media Group. 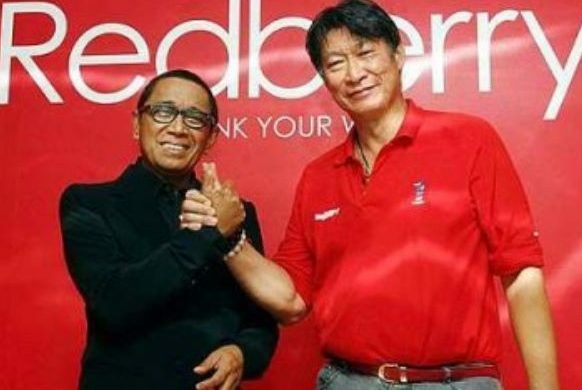 It was by co-incidence that Redberry Media Group is also one of the outfits of Dato’ Siew Ka Wei!I In June 2018, a report had been lodged with MACC. We are waiting for actions from MACC on this simple and obvious case. We hope that the Home MInister will take the necessary actions to terminate the so-called visa processing contracts with UKSB, S5 Systems Sdn Bhd and Profound Radiance Sdn Bhd. Tourists arrivals from China have dropped tremendously because the tourists were charged with exorbitant visa processing fees. We don’t need visa processing companies. Jabatan Imigresen Malaysia could carry out the visa processing task easily. We don’t need an artificial “toll” set up for the benefits of certain powerful personalities. I only took over your position as TM Chairman upon request by YB Padang Rengas. The issue was your incompetency. Do not keep publishing article about me because you are sore. I have done nothing wrong. I hope you are the real Dato’ Seri Dr Siew Ka Wei (SKW), the executive chairman of Ancom Bhd and MD of Redberry Media Group (Redberry). The CEO of Geeko Tech Sdn Bhd (Geeko) is none other than Ms Elizabeth Ken, who is by very strange coincidence the media specialist of Redberry. The Speedy Gonzales Geeko’s RM99.693 millions was struck when SKW was the chairman of Tourism Malaysia (TM). For SKW to somehow allude that his appointment as chairman of TM is a result of my alleged incompetency though understandable is highly debatle. Nevertheless rest assure I’m not at all suprised nor offended that he has such a high opinion of himself and vice versa of me , though I do beg to differ it is not the issue. The real issues of concern are of integrity, transparency and accountability, no more no less. The facts of the Speedy Gonzales Geeko RM99.693 million, which was valued, negotiated and sealed within ONE DAY, speak volume. I rest my case. Thank you for showing an interest to read my blog. Lol. OMG. The comments. Interesting. So many corruption and yes YB, you are right – there are too many rent seekers in this country.